Young leaders have a seat at the table to directly impact national policy and local practice. Youth Inform Policy Through Lived Experience. 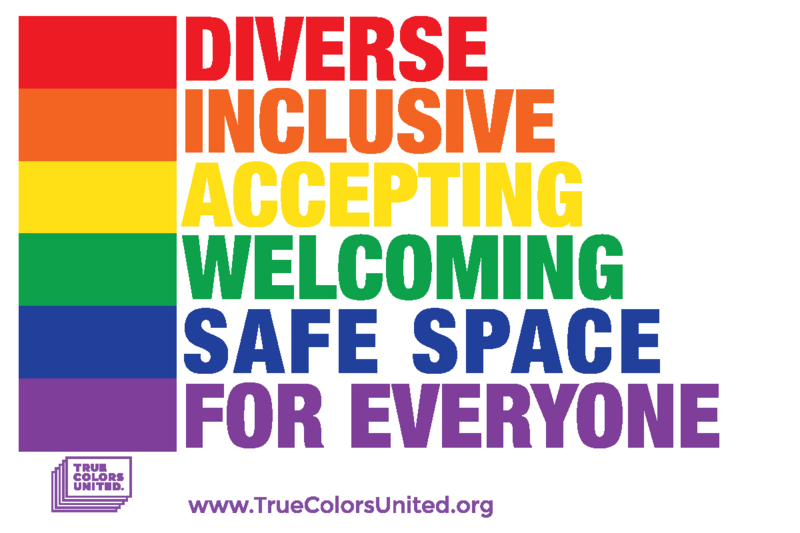 True Colors United’s National Youth Forum on Homelessness (NYFH) is a group comprised exclusively of young people to contribute to the growing national dialogue on how to make youth homelessness rare, brief, and non-recurring. NYFH ensures that the national conversation is informed by and filtered through the perspectives of young people who have experienced homelessness, and that strategies to end homelessness are generated by youth and young adults themselves. The primary goal of NYFH is to identify and analyze policy that impacts youth who are at risk of or experiencing homelessness, and advocate for strong policy based upon that analysis. Forum members, all of whom have experienced homelessness, use personal experience, research, and data to assess the effectiveness of programs that assist homeless youth and advocate for change. NYFH Executive Member Phoebe Van Cleefe speaks at the National Conference on Ending Family and Youth Homelessness. "We must continue increasing access and lowering barriers so that every youth can live a life full of love and free of judgement in a home where their hearts truly are." Youth Collaboration Becomes A Priority. NYFH has successfully initiated ideas and made decisions about federal policy and local practice with guidance and support from partner organization. When the US Department of Housing and Urban Development contracted NYFH members to review applications for their Youth Homelessness Demonstration Project (YHDP) grants, forum members received a one-day training on the grant review process and reviewed and scored 77 applications. Forum members continue to provide technical assistance to YHDP communities, facilitating youth engagement across the country. NYFH also supports A Way Home America’s 100-Day Challenges, which aim to test new strategies and house young people in communities across the country. NYFH helps facilitate youth engagement in each of these communities, offering expertise and tracking progress. NYFH Executive Member Rivianna Hyatt talks "community" at the Conference on Ending Family and Youth Homelessness. "When you foster hope and the need for change within youth, you liberate peak creativity and innovation." Interested in joining the National Youth Forum on Homelessness? The application process for this term has ended – but please stay tuned for future opportunities!